A unique opportunity to hear exhibiting artist Hyon Gyon in a panel discussion with psychologist Dr. Janek Dubowski, moderated by Dr. Ziba Ardalan. The discussion will focus on examining the role of the unconscious in Hyon Gyon’s work and, on a larger scale, as part of the creative process. Hyon Gyon creates intricate and highly expressive paintings and sculptural installations. 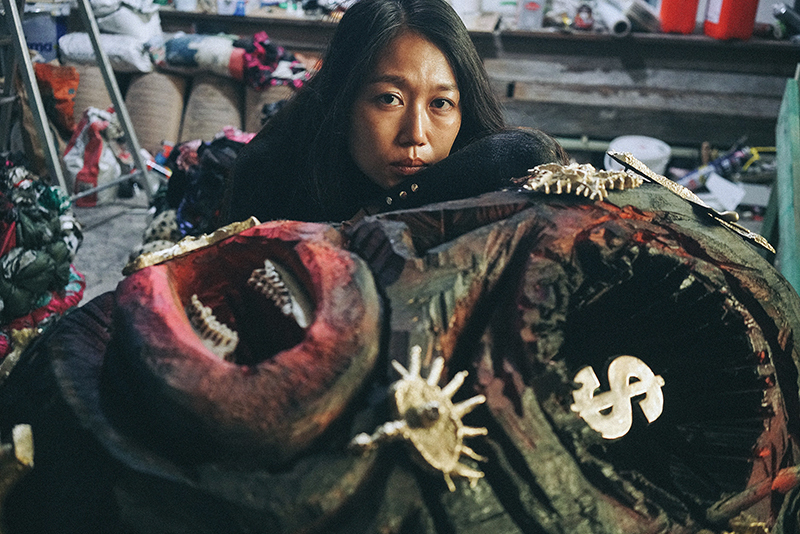 For her work, Hyon Gyon taps into the depths of her subconscious to purge feelings of sorrow and rage and transform them into creative energy. Her works have featured internationally in exhibitions at museums including the Asian Art Museum, San Francisco, USA; Brooklyn Museum, New York, USA; Carnegie Art Museum, Pittsburgh, USA; Kyoto Art Center, Japan, and the Museum of Contemporary Art, Tokyo, Japan. Dr. Janek Dubowski is the Deputy Head of Psychology at University of Roehampton, London. His clinical work has focused on the role of symbolic function in the mediation between consciousness (contact with the physical world of reality) and the unconscious (including inner-world experiences and emotional lives), with an interest in how the imagination and creativity allow for the expression, exploration and mediation of symbolic communication. Dr. Ziba Ardalan is the Founder, Director and Curator of Parasol unit foundation for contemporary art. Since 2004, Parasol unit has presented over fifty exhibitions as well as over a dozen other artistic projects. In addition, the foundation has published over forty publications and runs an active education programme for adults, families and children. Image: Portrait of Hyon Gyon. Courtesy of the artist.